The Great Depression of 1929 had a very severe impact on India, which was then under the rule of the British Raj. The Government of British India adopted a protective trade policy which, though beneficial to the United Kingdom, caused great damage to the Indian economy. During the period 1929–1937, exports and imports fell drastically crippling seaborne international trade. The railways and the agricultural sector were the most affected. The international financial crisis combined with detrimental policies adopted by the Government of India resulted in soaring prices of commodities. High prices along with the stringent taxes prevalent in British India had a dreadful impact on most Indians. The discontent of farmers manifested itself in rebellions and riots. The Salt Satyagraha of 1930 was one of the measures undertaken as a response to heavy taxation during the Great Depression. The Great Depression and the economic policies of the Government of British India worsened already deteriorating Indo-British relations. When the first general elections were held according to the Government of India Act 1935, anti-British feelings resulted in the pro-independence Indian National Congress winning in most provinces with a very high percentage of the vote share. Indian economy had been largely agricultural before and during the rule of the British. However, during British rule, there was a major shift from the growth of food grains to the cultivation of cash crops. This change was fostered by India's British rulers in order to provide for the textile mills in England, the most important of them being the cotton mills of Manchester and Lancashire which were fed with raw cotton produced in India. Since 1858, committees were established to investigate the possibility of cotton cultivation in India to provide raw materials for the mills in Lancashire. New technologies and industries were also introduced in India, albeit on a very small scale compared to developed nations of the world. An estimate by Cambridge University historian Angus Maddison reveals that India's share of the world income fell from 22.6% in 1700, comparable to Europe's share of 23.3%, to a low of 3.8% in 1952. India's per-capita income for the year 1904 was ₤2. Most economists feel that this decline was due to a systematic exploitation of India's resources by its British rulers. Import duties on British goods were reduced following the 1879 famine. In 1882, apart from those on salt and liquor, all other import duties were abolished. Duties on cotton were revived in 1894 only to be removed once again in 1896. A global economic depression broke out in 1929 following the American stock market crash of 1929 and rising speculations among the investors. However, the causes were more diverse and multi-pronged, with the decrease in costs and economic deflation of the post-war period being one of the main reasons. This deflation was caused by excessive manufacturing activities during the First World War. As a result, huge stocks of goods were piled up without being used. Wartime expenditure had reduced the countries of Europe to a state of heavy debt. Protective economic policies of European countries made their condition even worse. The United States of America was not affected, partly because it had participated on the side of the victorious Allies and partly because the American states were never under attack during the span of the war. As a result, the United States of America emerged as a financial superpower and the principal creditor to European countries. The Treaty of Versailles and its conditions had impoverished Germany. Germany lost a lot due to its involvement in the war. The country now owed extremely high debts. However, contrary to expectations, Germany did not pay off their debt by exporting manufactured goods. Instead, Germany paid off its debts by borrowing from the United Kingdom. The United Kingdom, meanwhile, paid Germany by borrowing from the United States of America. This created a situation wherein all European countries became dependent on the United States of America. When the American stock market suffered its first crash on October 24, 1929, there was a dreadful psychological effect on the nation. America stopped providing loans to foreign countries, thereby leading to a global financial disaster. The United Kingdom adopted the gold standard in the 1790s. Gold was used to determine the value of the pound sterling throughout the 19th century and the first quarter of the 20th century. The value of the pound sterling depended on the amount of pound sterling needed to purchase a fixed quantity of gold. At the onset of the First World War, the cost of gold was very low and therefore the pound sterling had high value. But during the First World War, the value of the pound fell alarmingly due to rising war expenses. At the conclusion of the war, the value of the pound was only a fraction of what it used to be prior to the commencement of the war. It remained low until 1925, when the then Chancellor of the Exchequer ( Finance Minister) of United Kingdom, Winston Churchill, restored it to pre-War levels. As a result, the price of gold fell rapidly. While the rest of Europe purchased large quantities of gold from the United Kingdom, there was little increase in the financial reserves. This dealt a blow to an already deteriorating economy. The United Kingdom began to look to its possessions as India to compensate for the gold that was sold. India was one of the foremost suppliers of raw materials during the First World War. India provided large quantities of iron, steel and other material for the manufacture of arms and armaments. Manufacturing units were gradually established and for the first time, the British Raj adopted a policy of industrialization. India acted both as a supplier as well as a sprawling market for finished British goods in order to sustain Britain's wartime economy. When the war came to an end, the Montagu-Chelmsford reforms were enacted in order to provide certain concessions to Indians in return for their loyalty to the Empire during the war. In 1923, the British Raj offered government protection to nine industries posing them as a sincere bid to industrialize the economy. However, the measures appeared symbolic and were intended to finance and protect British enterprise as was evident from the fact that all the benefactors were British-run industries. At the onset of the Great Depression, as it had been always, much of India's imports were from the United Kingdom. On the eve of the First World War, India was the British Empire's single largest market with its exports to India at Rs. 730 million making up over one-sixth of the country's total exports. During the annual fiscal year 1928–29, the total revenue for the Government of India was Rs. 1,548 million. The total exports were valued at Rs. 3,390 million while imports were valued at Rs. 2,630 million. India suffered badly due to the Great Depression. The price decline from late 1929 to October 1931 was 36 percent compared to 27 percent in the United Kingdom and 26 percent in the United States. During the Depression, the British Raj intensified the existing imperialistic economic policies. While these policies protected Britain's economy, they destroyed India's. Because the fall in prices had been higher in India compared to the rest of the world, the price of commodities manufactured in India rose dramatically compared to imports from the United Kingdom or some other country in the world. Farmers who were cultivating food crops had earlier moved over to cash crop cultivation in large numbers to meet the demands of the mills in the United Kingdom. Now, they were crippled as they were unable to sell their products in India due to the high prices; nor could they export the commodities to the United Kingdom which had recently adopted a protective policy prohibiting imports from India. Rice, wheat, etc., could be used for private consumption but the cash crops which they now cultivated could not be used for private consumption. As there was little sale of indigenous manufactures and limited exports, commodities accumulated and the flow of cash was restricted. Moreover, imports were severely affected by the Swadeshi movement and the boycott of foreign goods imposed by Indian nationalists. There was a deficiency of money in many places causing widespread poverty. In such a condition, the most recommended course of action is the devaluation of currency. Most countries afflicted by the Great Depression as Australia, New Zealand, Brazil and Denmark reduced the exchange value of their currencies. However, the British Raj rejected the idea. A recommended course of action to increase mobility of cash is rise of government expenditure. However, the Government was least interested in spending than accumulation. International trade decreased a great deal. The imports fell by over 47% while the exports fell by over 49% between 1929 and 1932. Between 1928–29 and 1933–34, exports due to seaborne trade decreased by 55.75% to Rs. 1.25 billion while imports decreased by 55.51% to Rs. 2.02 billion. Due to a decline in exports and imports, and thereby, in the transportation of goods, the railway revenues decreased exponentially. All the expenses for the years 1930–31 and 1931–32 were paid from the Railway Reserve Fund. There was a decrease of Rs. 150 million in the railway revenues between 1930 and 1932. 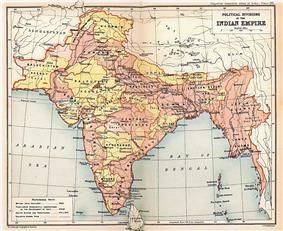 In British India, apart from existing imports and exports, there was also a particular amount of money which colonial India contributed towards administration, maintenance of the army, war expenses, pensions to retired officers and other expenses accrued by Britain towards maintenance of her colony. These were known as "Home charges" and were paid for almost entirely by India. Interest payable on Indian debt. Due to the drastic collapse of international trade and the very little revenue obtained for it, India could only pay off her home charges by selling off her gold reserves. From 1931–32 to 1934–35, India exported Rs. 2,330 million worth of gold. The Great Depression had a terrible impact on the Indian farmer. While there was a steady, uninhibited increase in land rent, the value of the agricultural produce had come down to alarming levels. Therefore, having incurred heavy losses, the farmer was compelled to sell off gold and silver ornaments in his possession in order to pay the land rent and other taxes. By 1931, around 1600 ounces of gold were arriving every day at the port of Bombay. This gold intake was transported to the United Kingdom to compensate for the low bullion prices in the country and thereby revitalize the British economy. United Kingdom was overjoyed as its economy recovered with gold and silver from India. The policies of the Government of India during the Great Depression resulted in widespread protests all over the country. As the national struggle intensified, the Government of India conceded some of the economic demands of the nationalists, including the establishment of a central bank. Accordingly, the Reserve Bank of India Act was passed in 1934 and a central bank came into being on April 1, 1935 with Sir Osborne Smith as its first Governor. 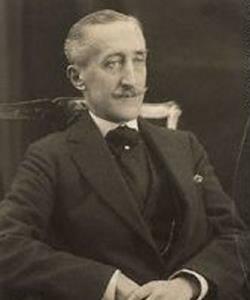 However, when Osborne Smith tried to function independently and indulged in open confrontation with P. J. Grigg, the finance member of the Viceroy's Council, he was removed from office. On December 31, 1929, at a session of the Indian National Congress held on the banks of the river Ravi in Lahore, Jawaharlal Nehru unfurled the tricolor and declared that complete independence from British rule would, henceforth, be the goal of the Congress. This was a remarkable shift of policy for the Indian National Congress as it had, till now, been a staunch advocate of dominion status. This declaration also triggered the Civil Disobedience Movement, which commenced with the Salt Satyagraha. The Salt Satyagraha formed the highpoint of the Civil Disobedience Movement. While the heavy salt tax was always a burden to the poor peasant, the widespread poverty during the Great Depression made it even more difficult for the commoner to procure salt. In response to this tax, between March 12, 1930 and April 5, 1930, Dharasana and Vedaranyam. The Government responded with a massive roundup, but by then, the march and the media coverage had radically moulded international opinion. ^ "Of Oxford, economics, empire, and freedom". The Hindu. 2 October 2005. ^ a b Pratiyogita Darpan 1 (11): 1. May 2007. Manikumar, K. A. (2003). A Colonial Economy in the Great Depression, Madras (1929–1937). Orient Blackswan. Balachandran, G. (1996). John Bullion's Empire: Britain's Gold Problem and India Between the Wars. Routledge. Rothermund, Dietmar (1992). India in the Great Depression, 1929–1939. Manohar Publications. Singh, Kanti (1987). The Great Depression and Agrarian Economy: A Study of an Underdeveloped Region of India. Mittal Publications.